GILI MENO HAS A REPUTATION FOR BEING RELAXING. However, we’d prescribe a few glasses of chilled red wine and a stay on the island’s most authentic, family-run beach bungalow to go with the white sand beach and clear blue waters in this glorious paradise island. A romantic dinner at Mahamaya boutique resort should be on anyone’s itinerary and we also stumble on a peculiar local past time in the paradise island. Pop on your cool sunglasses (and even a wide brimmed hat) and discover what Gili Meno’s idyllic deserted island has to offer. It’s breathtaking combination of pristine white sand beaches and clear shallow snorkeling waters, Sasak architecture, loungy beach bars, easy going island attitude and picturesque tropical surrounds are, however, just the beginning. Scratching beneath this divine surface reveals an island paradise that’s struck a hard-to-find balance between adventure castaway travel and leisure. Here is our selection of the best places to linger at, sample from, and sleep in to get a real sense of this pristine paradise (with just 48 hours to spare). We have to pre-frame the rest of this article by telling you that two nights in Gili Meno is just not enough. The smallest island in the Gilis is so utterly peaceful that you’ll find yourself sinking into a whole new dimension of relaxation, within minutes of arriving on these untouched shores. But, if that’s all the time we’ve got, let’s work with it. We hopped across to Gili Meno from Gili Trawangan in a local outrigger boat that picked us up from the private boat landing at Scallywags Gili T and dropped us off on the beach, right in front of Ana Warung & Bungalows. The shore to shore transfer cost IDR300,000 and the sheer convenience of it was priceless. If you’re travelling light then taking the public boat is a piece of cake. It leaves Gili Trawangan twice a day, at 9am and 4pm and costs just IDR30,000. 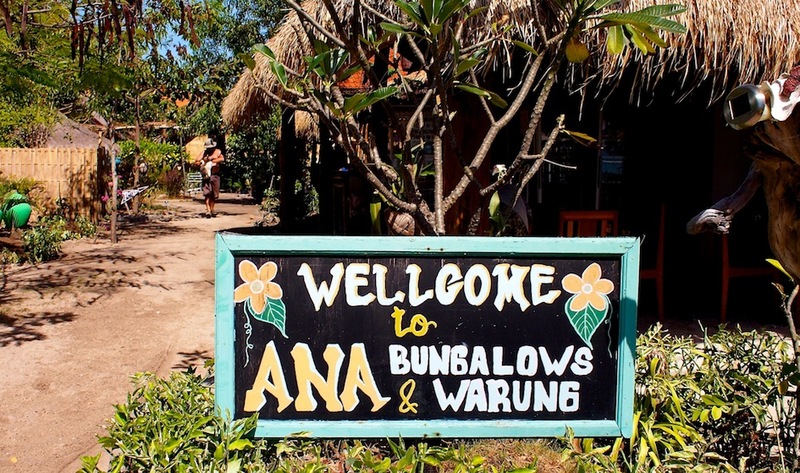 Ana Warung and Bungalows is owned by Peter, a retired miner from Australia who fell in love with Gili Meno and his Sasak wife three years ago and never looked back. 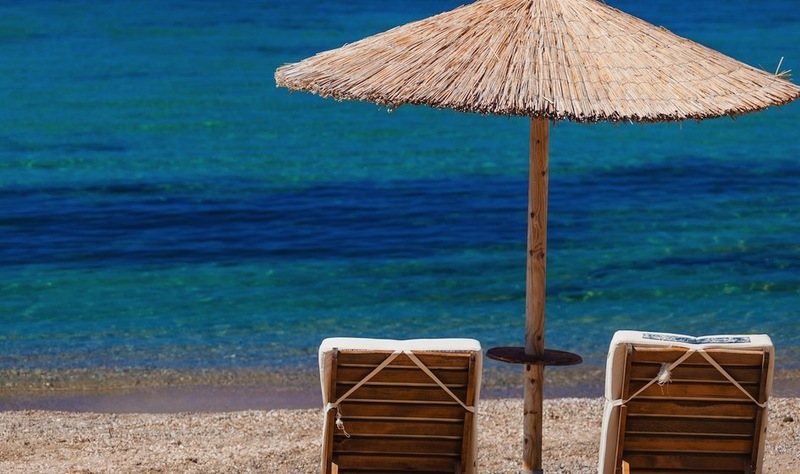 It’s an island institution, where people come to stay, or just have a pleasant tipple and take in the traditional flavours and tropical island community atmosphere. Peter’s done a fantastic job of capturing the spirit of Gili Meno’s casual island life in a comfortable (and environmentally conscious) setting. 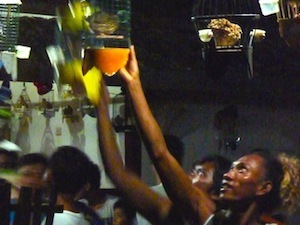 A stone’s throw away from Ana Warung and Bungalows, the locals gather after dark once a week to place their bets on quail singing competitions. The prize: a blender. A very handy tool for making and selling smoothies and cocktails on the island. It’s a rather peculiar spectacle to stumble on. Bird cages are hung high in a neat row. The quails inside, blinded by powerful lights as the judges take their seats (one judge per bird) and begin counting the number of times each bird singa. Crowds of local men young and old watch eagerly from behind and cheer the birds on with the same intensity of punters at the races. The thing about Gili Meno, in contrast to the bustle in Gili Trawangan is that you don’t feel the need to do much more than relax in a cabana and swim in the crystal clear waters. There are patches of sea urchins in the shallows, so look out for black spiky clusters. One of the guests had the misfortune of stepping on one (whilst making out with his lady on a beautiful Gili Meno day) and it looked rather unpleasant. Six spikes stuck out of the sole of his foot, and he had to wait (in pain) for half an hour while the waiter beat his already swollen foot so that the swelling would force the spikes out. Ouch! In the afternoons, local hawkers selling sarongs and bracelets do the usual rounds. And so do the massage ladies offering full body massage (IDR120,000-150,000), sweet baby pineapples and bottles of homemade coconut oil for IDR50,000. Not exactly cheap but if you’re a coconut oil lover like me, getting an organic homemade stash like this is a splendid proposition. When the sun dips lower in the sky, it’s a great time to walk around the island and stop for a Bintang or two. One must stay hydrated in this weather. Checking out Gili Meno’s saltwater lake and the bird park are optional. You’ll really want to do as little as possible here. After a long and drawn out morning over coffee and lamenting leaving the island so soon, a cimodo came to take us to the pier. The path weaved along the coastline and into the village. The ride was rather bumpy and if it wasn’t for a heavy suitcase, we might have walked it. The driver charged IDR80,000 which is rather steep but we were at the end of our bargaining sprint. Another quick stop at Karma Beach Gili Meno for a coffee (the resort looked absolutely divine, definitely a must-stay on Gili Meno. Perhaps next time…), and we were on the fast boat back to Padang Bai (IDR400,000 one way).